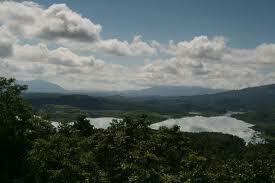 The district headquarters of Wayanad, is the only municipality in this hilly region. The town has hotels, bars, restaurants and shops, making it a convenient base to visit this place while at the same time enjoying these facilities. 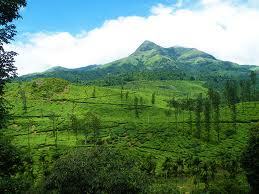 At 2100 mts above mean sea level, Chembra is the highest peak in Wayanad and is ideal for trekking. 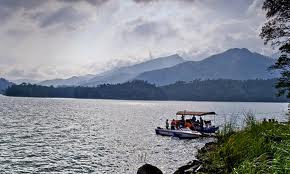 Climbing this peak is a challenging mountaineering endeavour and would take a full dayThe scenic beauty of Wayanad, which is visible from the top of Chembra, is very exhilerating. The surrounding areas offer exceptional photo oppurtunities. Camping on the peak is an unforgettable experience. District Tourism Promotion Council provides guides, sleeping bags, canvases, huts and trekking implements on hire. 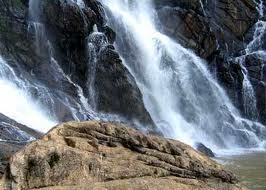 Closer to Vaduvanchal, Neelimala is an excellent venue fro trekking with lots of stimulating trails. The summit of this hill affords a great view of the cascading Meenmutty fallsand the beautiful valley in its foreground. This place is 22 kms south of Kalpetta near Chooralmala. Locally known as Soochippara and is a very popular leisure destination. This is a three step waterfall more than 200 mts in height. Framed by enchanting scenery. A must to see site! This region is ideal for rock climbing. Soochipara can be reached by a scenic 2 kms. nature walk and deer and other wildlife can be seen near the waterfront. 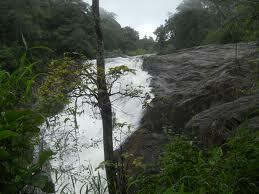 - This place is 22 kms south east of Kalpetta and 8 kms east of Meppadi, a beautiful waterfall about 30 mts in height. Relatively smaller than Sentinel Rock falls, and rather less frequented Kanthanparaand its surroundings offer a very pleasant site. A easy hike away from the main road, its perfect for picnics. This place is 21 kms north east of Kalpetta. Situated at Padinjarathara. A mini hydel project with the largest earth dam in India and the second largest in Asia is being built here. The Banasura project precincts are an ideal starting point for treks to the Banasura Peak. A quaint feature is a series of islands that were formed when the reservoir submerged the surrounding areas. 15 kms southeast of Kalpetta, near Padinjarathara: dating back 300 years, this is the oldest mosque in Wayanad. 4 kms north of Kalpetta. This old temple is dedicated to Ananthanatha Swami, one of the most revered Jain Saint. This temple is located on the slopes of Vellarimala and is dedicated to Parshwanatha Swami of the Jain faith. The mirrors inside the temple wall reflect images of the icons in the temple's sanctum sanctorum. NB: Permission is restricted now a days. Posted in KERALA TOURISM., WAYANAD TOURISM. Sre Travels maintains large fleet super deluxe comfortable buses that are well equipped with exotic amenities with various combinations of deals that mostly offer reasonable fares and exclusive services. Bus Ticket for several multiple routes are always possible with Sre Travels. Online Bus Booking for this Travels is available with TicketGoose.com.